Brand new, never handled or displayed, in factory box, available for immediate shipment. Layaway Available! Call 414-962-7773 for terms. The Baby Rock has a 3.75" barrel and weighs in at 1.62lbs loaded. Includes stable low profile angled sights designed for consistent accuracy and reliability. Front and rear CNC angle grooves are cut for cyclability in times of need. 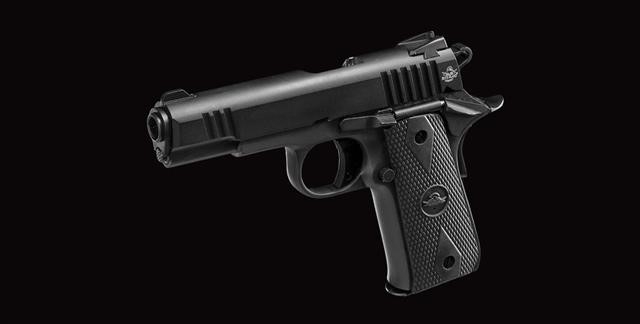 Add comfortable dovetail grip safety and polymer checkered grips and you have a lifelong compact 1911 at a great price.